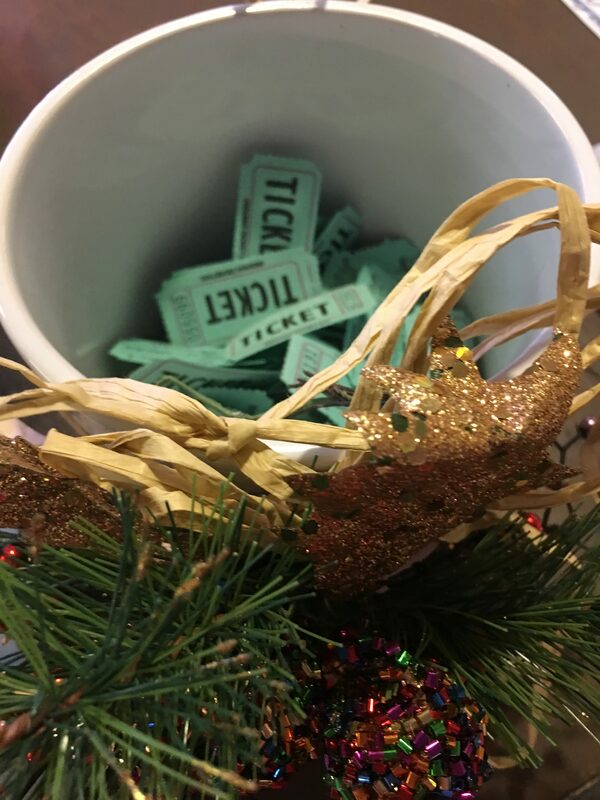 At cash registers all across Luther, shoppers are filling out tickets in hopes of winning a pile of Christmas cash. The Luther Parks Commission has organized the holiday promotion for the second year by asking businesses to pitch in some cash to make a nice holiday pot. 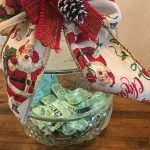 For every $10 a shopper spends at Luther spots like Josephine’s Cafe, Beth’s Baubles & Bits, Brew 66, and many others, a ticket with the shopper’s name and phone number goes into a jar for a drawing on December 15. Winners do not have to be present to win. But why not come participate in the festivities, and then spend some of your winnings back in Luther? 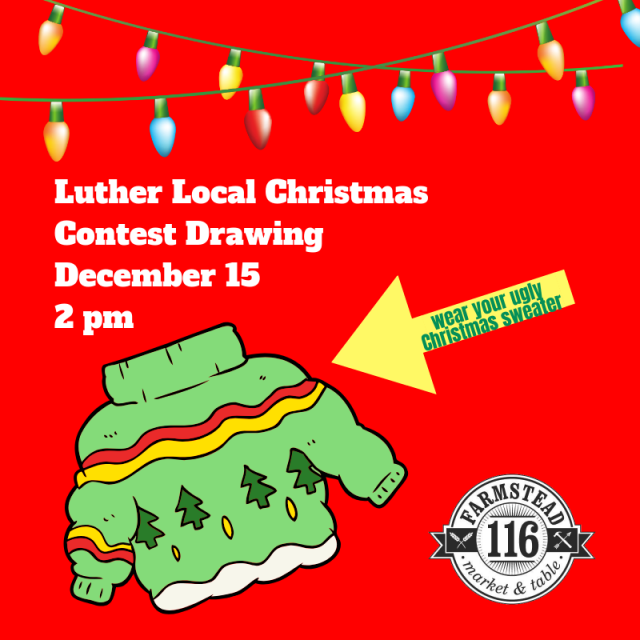 The drawing will be on December 15 at 2 pm at The 116 Farmstead Market & Table. To get in on the festivities, the restaurant will have an Ugly Sweater Contest and will offer some holiday treats. The drawing will be hosted by Josh Smith of Opus Entertainment. The Parks Commission developed the Luther Local contest in 2017 to promote shopping in Luther during the holiday season. The first winner of the Luther Local Christmas contest was Ktara Brinkley who lives in Wellston but has a counseling office in Luther. Last year, she told The Luther Register that she guessed the raffle ticket drawn was from one she filled out at The Chicken Shack, although she had filled out tickets at many Luther stores over the last three weeks, including Rustic Farm, Urban 66 and The 116 Farmstead Market & Table. 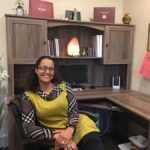 Brinkley is a Licensed Professional Counselor and owns Revitalize Life Counseling on Main Street, located on the second floor of the 116 cafe in the middle of Main on the east side of the street. The drawing for the cash prizes is Dec 15 at 2pm.